Oakville Care Centre keep a range of Toilet frames and rails to help make life easier when there is difficulty sitting or rising off the toilet. This sturdy toilet surround rail is both height and width adjustable making it suitable for a variety of situations. 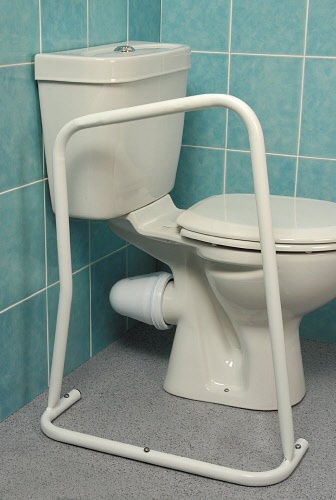 This toilet surround has padded hand grips for additional comfort and support. Supplied flat packed. Height 625 to 788mm (25 to 31˝). Width 510 to 560mm (20 to 22˝). The Mowbray has a proven track record for comfort, durability and safety and is the preferred choice of Occupational Therapists. This Freestanding frame comes with a standard width between arms of 453mm (17¾") and four non-slip ferrule feet. Ergonomically designed, one piece moulded, contoured seat which gently slopes for thigh support and comfort. Front cutaway for personal cleaning. 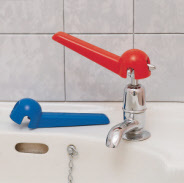 Stackable & Autoclavable up to 70°C. Delivered Fully Assembled. Height to top of seat: 400-550mm(15¾x 21½"). Seat Width x Depth: 406 x 450mm(16 x 17¾"). Aperture size: 260 x 220mm(10 x 8½"). Height to top of frame: 610-770mm(24-30"). Footprint: W570mm(22½") x D515-565mm (20-22"). Versatile, height adjustable frame can be used both over a toilet and as a commode. 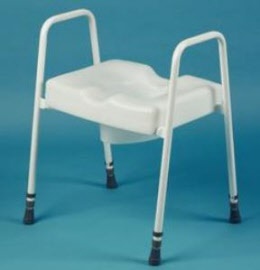 Comfortable and conventional toilet seat with lid is fitted with a hinge and a chute that can be easily removed for cleaning. 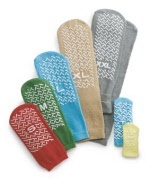 Ensures good hygiene. 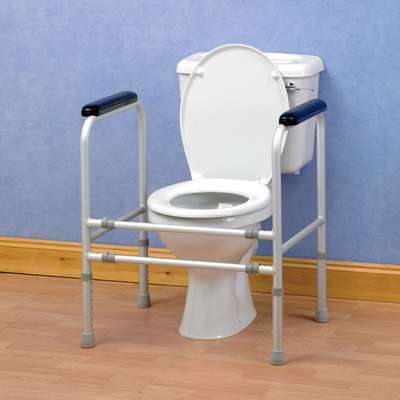 Frame is designed to allow a commode pan to be fitted, turning the frame into a commode for extra flexibility. Width between arms: 490 mm (19-inch). Seat height: 390-540 mm (15½-21¼ inches). Seat: 420-350 mm (16½-14¼ inches). Aperture: 250-205 mm (10x80 inches). Max: 520 x 580 mm (20½ x 23 inches). An extremely comfortable toilet seat and frame with side handles for support and safety. The seat simply clicks into position on the frame. The front and rear cut-outs of the seat are shaped for easy personal cleaning. Seat Height 460 to 610mm (18 to 24"). Width Between Arms 500mm (19¾"). Overall Height 680 to 830mm (26¾ to 32½"). 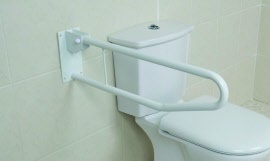 Providing support when approaching or leaving the toilet, this high quality, steel support rail is mounted onto the wall at the appropriate height. In use it projects at right angle to the wall, but when not required it can simply be folded up against the wall, providing access for side transfer or assistance. Finished in white, it provides effective and economical solution. Not suitable for use in showers. Tubular diameter: 25 mm (1-inch). Depth when folded: 260 mm (10¼-inch). 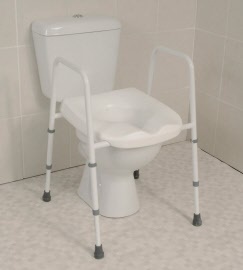 A multi purpose, sturdy, floor fixed support frame which can be fitted next to the bath or toilet. This rail comes with a sloping rail design. 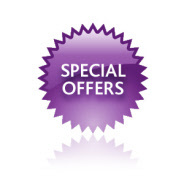 Available in right hand or left hand versions. One of each can be used together if a person needs support either side of the toilet to push up from the toilet seat. Must be screwed to the floor, screws not included. PPA powder coated steel tube. Base: 540 x 200 mm (21 x 8 inches). Sloping height: 640-740 mm (25-29 inches). 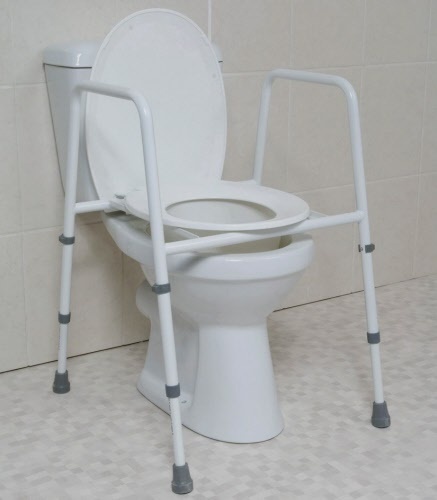 These commode chairs are designed to make toileting easier and reduce the risk of falls at home by not having to make long trips to the bathroom. 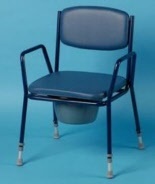 Oakville Care Centre stock commodes suited for all budgets and also when there is limited space folding commodes are also available. For all your toileting needs including male and female urinals, bed pans, bottom wipers and bidets. 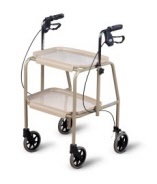 This height adjustable walking trolley is a sturdy and robust walking aid for use within the home, providing a means of transporting items from one room to another.